Here’s Cameron Crowe’s 1973 Rolling Stone cover story on the Allman Brothers. This is the story that inspired Crowe’s movie, Almost Famous. "I'm flying high over Tupelo, Mississippi, with America's hottest band ... and we're all about to die." 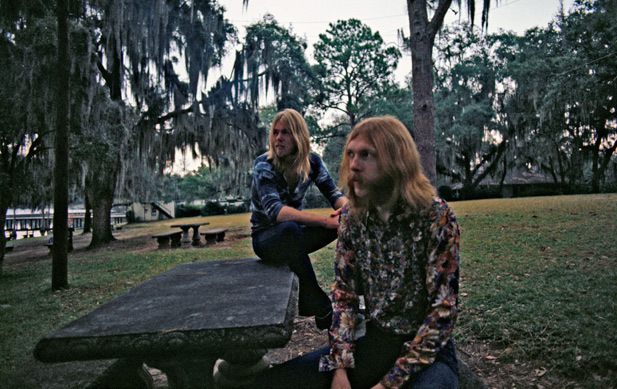 There aren't many albums I'd say this about but if you don't have The Allman Brothers "Beginnings" (a two-fer-the price of one re-issue of their first two albums), there's a giant hole in your record collection. That one, Fillmore East, and Eat A Peach are essential listening for blues-rock enthusiasts. Duane's daughter Galadrielle has a brand new book out about her dad and the Allman's. I'll be playing the Allman's Wanee festival next month in Florida and will spend some time with Butch, Derek, and Oteil. 3) How cool is that? Never got to see Derek with the Allmans but I've seen him with his wife. Great band! I'm hoping to catch a Dickey Betts show this weekend in NJ if I can. it's very cool. i'm really close with the Trucks family. i toured with Derek a lot in the mid-90s. his bass player was my roommate off the road and derek and i shared hotel rooms on the road. he'd sit in with my band pretty regularly. Col. Bruce Hampton deemed us "cousins" and bestowed upon us similar "Zambi" stage names - Thelarmis J. Younkin and Doug Younkin. Butch's son - who graces the cover of the Allman's Brothers & Sisters album - is my best friend. we've played in a group together for over 15 years. Butch wants me to produce is upcoming drum DVD, which will be recorded at Derek's home studio. Butch had me transcribe the latest Allman's drum solo (last year's tour, methinks) and a put together an instruction book for his Roots Rock Revival project. I'm also great friends with Butch's daughter and know Derek's siblings and parents. There are many more Trucks down here as well - *amazing* family!!! derek will be with them for the Beacon run in a coupla weeks. also, they'll play the Peach Fest in PA this summer. you can catch that and the AAA Yanks at the same time! Thelarmis J. Younkin! Oh, man, I didn't know about your connection to the Trucks and Allmans. You're a bonafide Banter rock star, sir. I LOVE the Allmans.